Pac and his girlfriend were enjoying a lovely day on the sea coast. Suddenly a flying UFO appeared and kidnapped Pac's girlfriend. 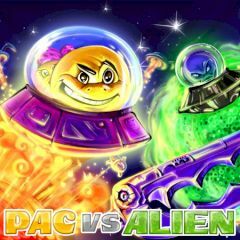 Help Pac to liberate his girlfriend and to punish the Alien.